Prices are per person based on two people traveling. 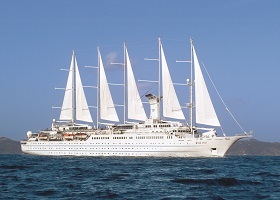 For all interline reservations on Windstar, full payment is due at the time of booking. received, the cruise line may convert the booking to full fare. You can book one additional cabin for friends and family for a total of two cabins. **Interline Rates with Wind Star** If airline employee/retiree cannot provide proof of U.S. or Canadian citizenship, the cruise line reserves the right to change rate to full retail pricing. Sailings can be withdrawn from this program without prior notice. If the dates are listed below, it does not guarantee that the sailing is currently available.